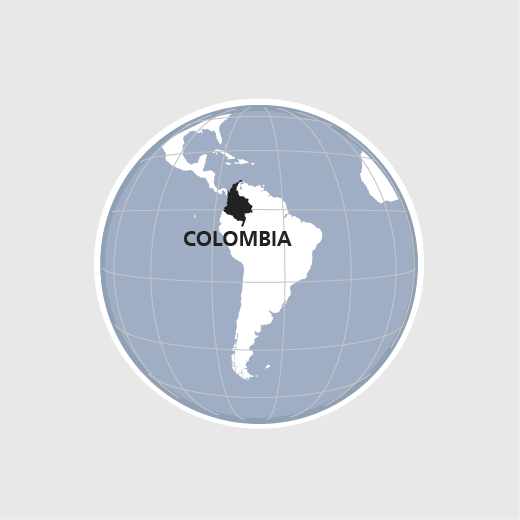 The over 50-year old armed conflict between Government and FARC rebels, single-crop farming for export and biofuel production as well as mining projects all combine to jeopardize the livelihoods of rural communities in Colombia and give rise to forcible evictions. The civilian population gets caught up in the conflict owing to the militarization of daily life and the demands being made by armed groups. The consequences are serious human rights violations, violence, poverty, hunger, displacement, as well as the destruction of social networks and traditional values. Through its projects, HEKS/EPER strives to help create a more just and peaceful society and to improve the livelihoods of internally displaced families and rural communities. In 2017, some 2800 people living in conflict situations were reached through peace initiatives or protective measures.